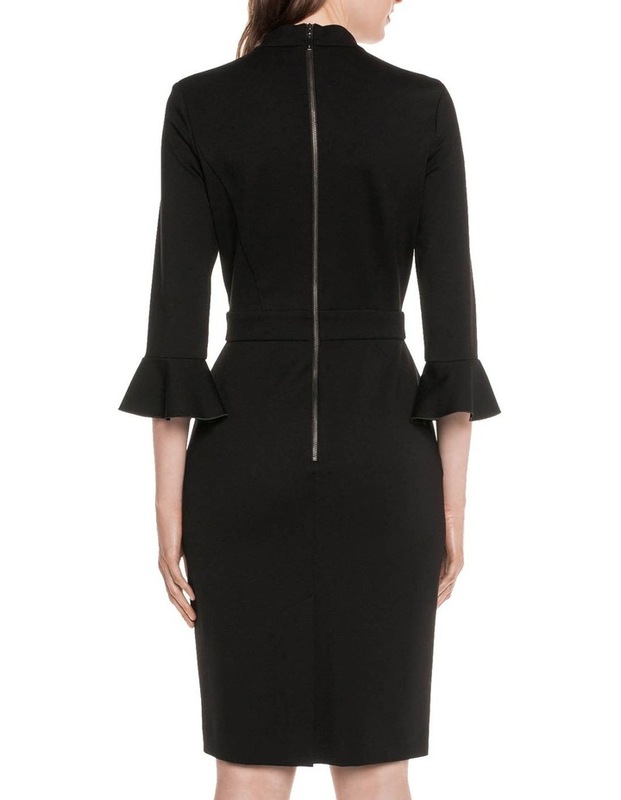 Made from a double knit, this pencil dress features a stand collar with draped neck tucks and a long fitted sleeve finished with a frilled cuff. Fastened with a metal zip at the centre back. Made in Australia.